This styled shoot was a very fun and gorgeous shoot to be able to participate in! Chandler, from the wildly popular Spokane Eats was our fabulous model. We focused on getting photos of the model all over different parts of the venue to showcase all the venue has to offer. As you scroll down, you’ll see that this venue has so many unique locations for great photo-ops. 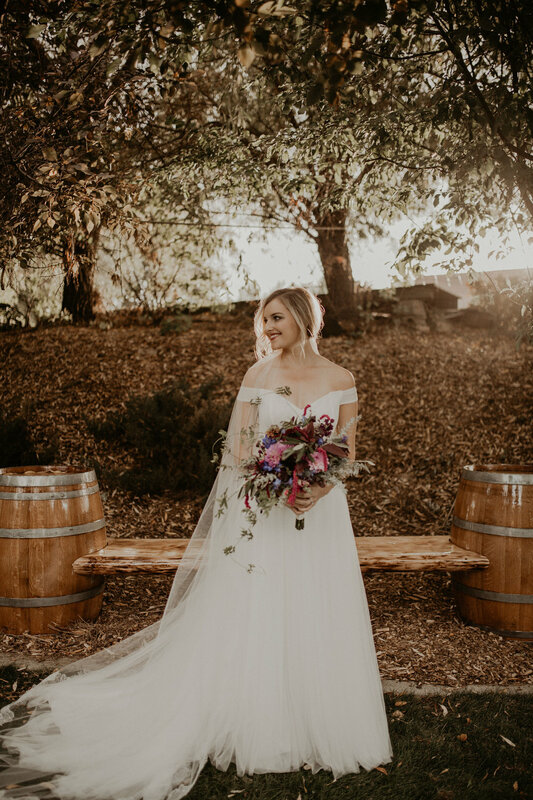 From the rustic truck, to the grapevines, to the ceremony location, as well as the bridal suite. Each of the vendors put 110% into this shoot and it went as well as it could have gone! The light was gorgeous as the sun was setting that evening, the dress the model wore was absolutely stunning and was perfect for the vibes of the venue. This is pretty much the dreamiest vineyard wedding styled shoot.